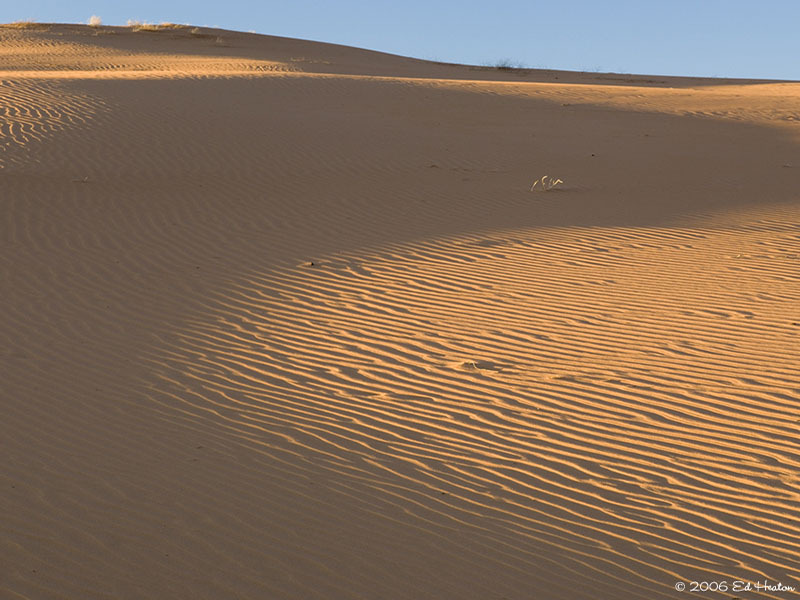 Rippling arcs of rust-colored sand welcome you as you enter Coral Pink Sand Dunes State Park. Contrasted by blue skies, juniper and pinion pines, and steep red cliffs, the park is a wonderful place for camping, photography, off-highway vehicle riding, and playing in the sand. As the only major sand dune field on the Colorado Plateau, this park is a unique geologic feature that should not be missed. Coral Pink Sand Dunes support a diverse population of insects, including the Coral Pink tiger beetle that is found only here. Melting snow often creates small ponds on the dunes that support amphibians such as salamanders and toads.